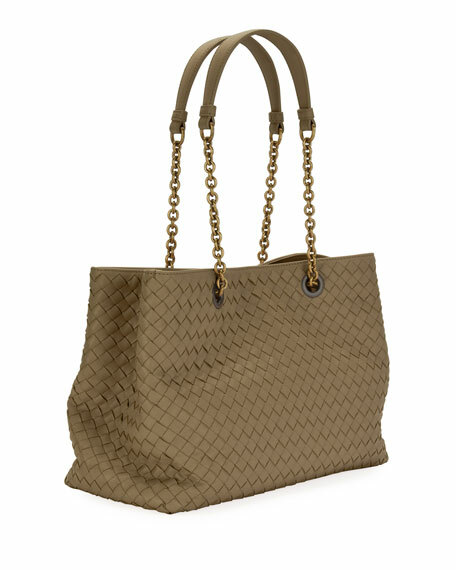 Bottega Veneta tote bag in signature intrecciato woven lambskin, updated with mixed angles. Chain strap with leather padding, 8.7" drop. Open top with snap closure. Interior, suede lining; center zip compartment; one zip and one open pocket. 9.5"H x 12.6"W x 4.7"D.
Bottega Veneta has set a new standard for luxury since its birth in Vicenza in 1966. Inspired by Italian culture with a global outlook, the house is defined by a distinctly refined attitude. Bottega Veneta uses noble materials to create considered pieces that become part of their owner's lives. The house embraces a core philosophy of style, innovation and luxury, applied to a full offer for women, men and home. 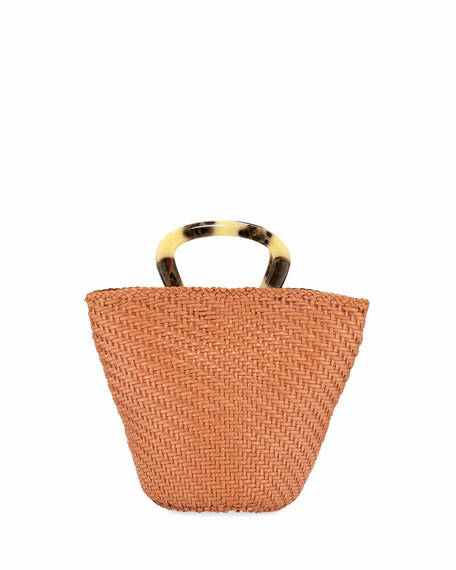 Loeffler Randall fan-shaped tote bag in woven buffalo leather. Polished, horn-patterned resin top handles. Detachable shoulder strap, 9.5" drop. Open top with magnetic tab. 11"H x 9"W x 6"D. Unlined. Imported. 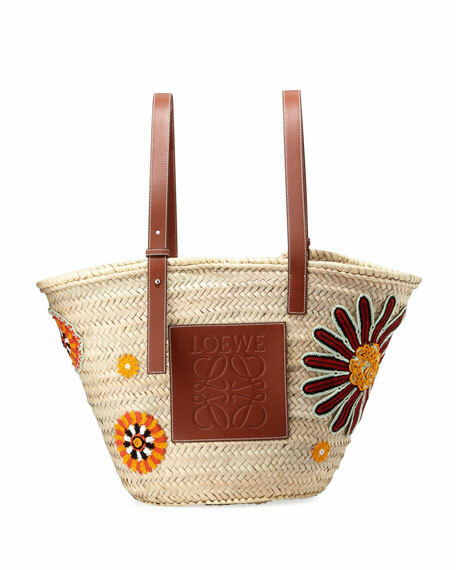 Loewe woven palm basket tote with calf leather trim. Crocheted floral appliqu accents. Adjustable flat top handles, 8" drop. Open top. Large embossed logo patch at front. Unlined interior. 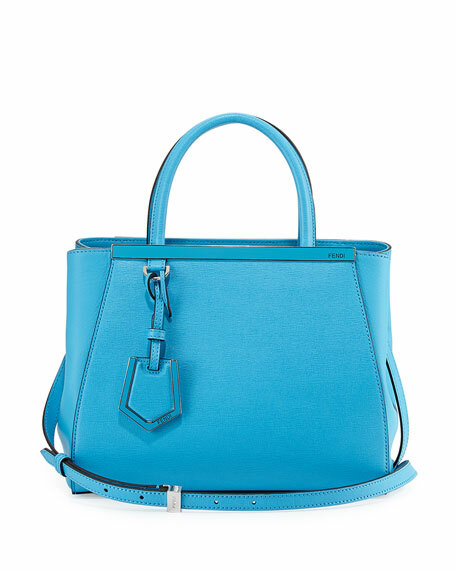 13"H x 17"W x 7"D.
Loewe woven colorblock tote bag in suede and smooth calf leather. Flat top handles with tabbed ends. Open top. Exterior, multiple tassels hang from bag. Large stamped logo at center. 11.4"H x 17.3"W. Made in Spain.